When mental, physical or emotional health of seniors begins to slow down, it can make even the simplest tasks daunting. No matter what level of assistance you may require, Home Care Assistance of Guelph is here to help. With hourly and full-time at-home care available, our expertly trained caregivers are dedicated to helping older adults enhance their quality of life and gain independence. Each of our caregivers has been carefully screened and expertly trained. Home Care Assistance requires that caregivers have experience in working with older adults and participate in ongoing training programs. We check references, criminal backgrounds and legal right-to-work documentation. Finally, Home Care Assistance of Guelph, CO administers an exam to make certain the caregiver displays honesty, compassion, and conscientiousness. Through our complementary matching program you are able to choose the caregiver and flexible schedules appropriate for your needs. 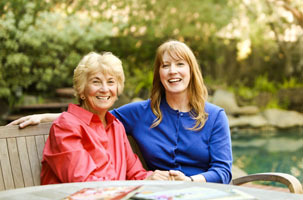 At-home caregivers are trained to assist our clients with non-medical activities and daily tasks. Our expertly trained caregivers will help with bathing, dressing, meal preparation, transportation, housekeeping and a variety of other activities. Helping our clients to maintain their daily routine enhances their quality of life and promotes independence. 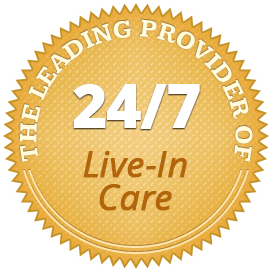 Home Care Assistance is trusted by the Medical Community and offers high quality at-home care in the Southeast Suburban Denver area with a 100% satisfaction guarantee. Our skilled and professional caregivers are meticulously screened and available immediately. Contact us today at (519) 954-2111 and speak with our Care Manager now.